The United Nations’ mission in Cyprus came under fierce criticism from the Turkish Republic of Northern Cyprus (TRNC) this week after UN peacekeepers were unable to provide “security” for a football match involving teams from both sides of the island. On Tuesday Turkish Cypriots Mağusa Türk Gücü and Greek Cypriots Nea Salamina took part in a “Friendly Football Day” in the “mixed” village of Pile. 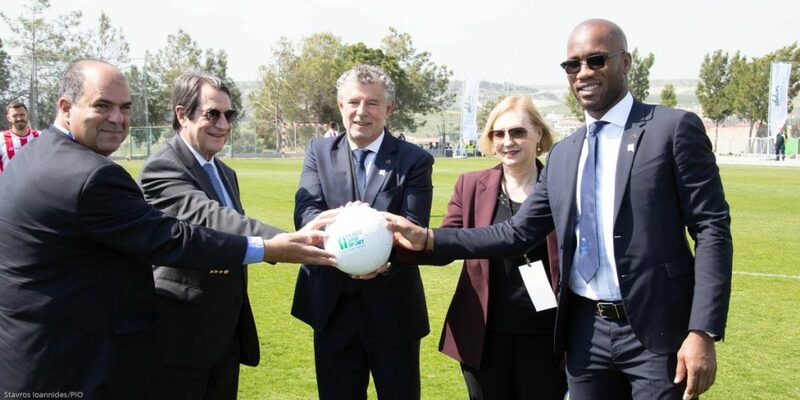 The “symbolic match” was organised by Monaco-based Peace and Sport and British Greek Cypriot easyJet tycoon Sir Stelios Haji-Ioannou, whose philanthropic foundation last year awarded the clubs a cash prize of 10,000 euros for their plans to stage the event. Sir Stelios, Greek Cypriot leader Nicos Anastasiades, and Peace and Sport vice-president and football legend Didier Drogba were among the VIPs, along with Pile’s Greek Cypriot and Turkish Cypriot “muhtars”. Former Chelsea and Galatasaray star Drogba delighted the crowd by signing football shirts and taking selfies with fans. The two clubs played against each other in the first half of the game – which Nea Salamina won 1-0 – before playing as mixed teams in the second half, to “demonstrate bi-communal cooperation”, a press release from Peace and Sport said. It was only the second gathering of its kind between Turkish Cypriot and Greek Cypriot teams “in 64 years”, Peace and Sport noted. The last time teams from opposite sides of Cyprus met was in 2005, when Nea Salamina played against Yenicami, according to local reports. 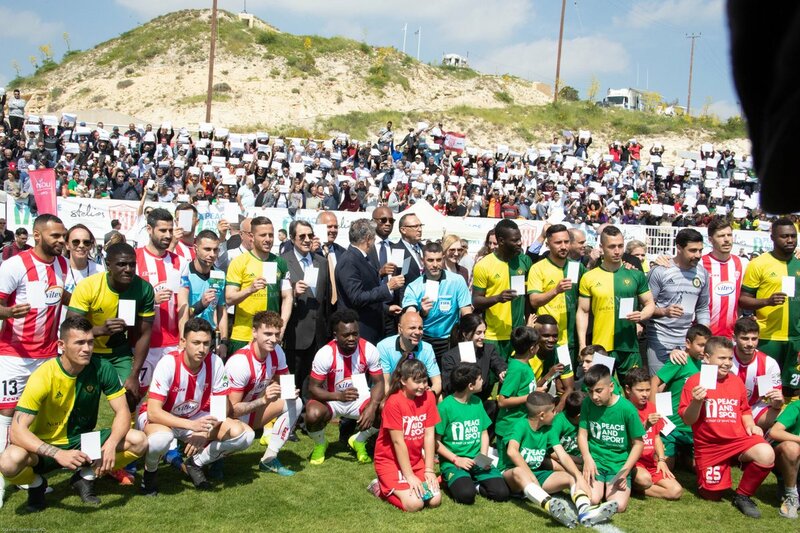 The day also saw the launch of the organisation’s “2019 #WhiteCard” campaign, which saw “more than 1,000 children, spectators, athletes and officials raise a #WhiteCard in Pyla [Pile] stadium as a gesture of inclusion and peace”. Joël Bouzou, Peace and Sport president and founder, said that it was “very symbolical to hold an event aiming at fostering bicommunal dialogue and intercultural exchange in such a place”. The UN’s top official on the island and the head of the United Nations Peacekeeping Force in Cyprus (UNFICYP) Elizabeth Spehar said: “We are looking at sport as a way to bring people together, to eliminate barriers and to foment reconciliation. There was an empty chair, however, for TRNC President Mustafa Akıncı, who refused to attend after learning that the game was taking place on the Greek Cypriot side of the island, and not in the UN buffer zone as he had previously been led to believe. He instead chose to hold a press conference at the same time the match was being played to explain his decision. 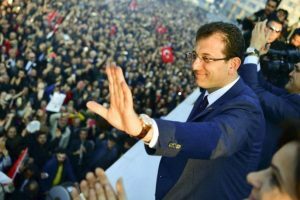 “On Friday [15 March] my spokesman received a call from [Mr] Anastasiades’s office asking him how I would be crossing over to attend the match,” he said. Mr Akıncı said that the organisers and the Pile muhtars had tried to switch the venue to a ground in the buffer-zone part of the village, but were unable to do so because of the “UN’s security concerns”. 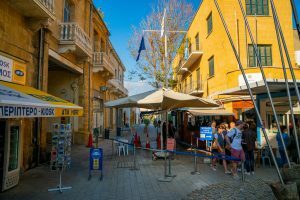 He said that he was not against attending bicommunal events in South Cyprus – as he has done before – provided that a reciprocal event was held in North Cyprus. “Since there will be no second match [between Mağusa Türk Gücü and Nea Salamina] it would not have been right for me to attend,” he stressed. Mr Akıncı also blasted the stance of the UN, claiming that the incident had raised question marks over its role in Cyprus. “There were only going to be several hundred people attending, not thousands,” he continued. “The UN telling us that they could not provide security for the event is totally unacceptable. Responding to criticism that he was being too “sensitive” over the issue, President Akıncı hit back, saying: “The only point that I am sensitive about is the political equality of the Turkish Cypriot people. The UN also came under fire from the TRNC’s Foreign Affairs Ministry, which accused it of taking sides. “Unfortunately there has been an increase observed in [UNFICYP’s] partial stance regarding issues in the buffer zone,” a statement said. The statement said the incident “once again demonstrated how justified the Turkish Cypriot side is in insisting on a review of UNFICYP’s mandate”. Foreign Minister Kudret Özersay said earlier this year during a visit to the United States that armed UN peacekeepers were no longer needed in Cyprus. The location of the match also caused problems for TRNC state broadcaster BRTK, which had to cancel a planned live transmission after its outside broadcast truck was refused permission to enter the ground by Greek Cypriot police, its head Aysu Basri Akter said. In a statement to T-VINE, UNFICYP spokesman Aleem Siddique appeared to suggest that the match had never been intended to be held in the buffer zone. “It should be noted that Peace and Sport were responsible for hosting the bicommunal football match that took place in Pyla, not UNFICYP,” he said. “The organisers were in direct contact with both sides to confirm arrangements. 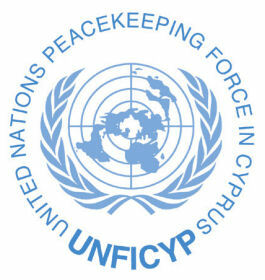 UNFICYP provided support to the event upon the request of Peace and Sport. “We are mandated to support bicommunal activities and regularly do so across the island. “The organisers did discuss with us the possibility of hosting it in the Buffer Zone less than 24 hours before the event. Mr Siddique refused to answer any further questions, adding that the statement was “all we have to say on this matter”. “Please know that since the beginning we have planned to host the event in the bi-communal village of Pyla as it is a very symbolic place to gather the Greek Cypriot and the Turkish Cypriot communities. “All the people involved were informed of the place of the venue and it is important to remind that this event was not a political event but a neutral event bringing together both communities around the power of sport. Mr Anastasiades declined to comment on Mr Akıncı’s no-show, but said that the “arrangement was to hold the game at this stadium [in South Cyprus]”.